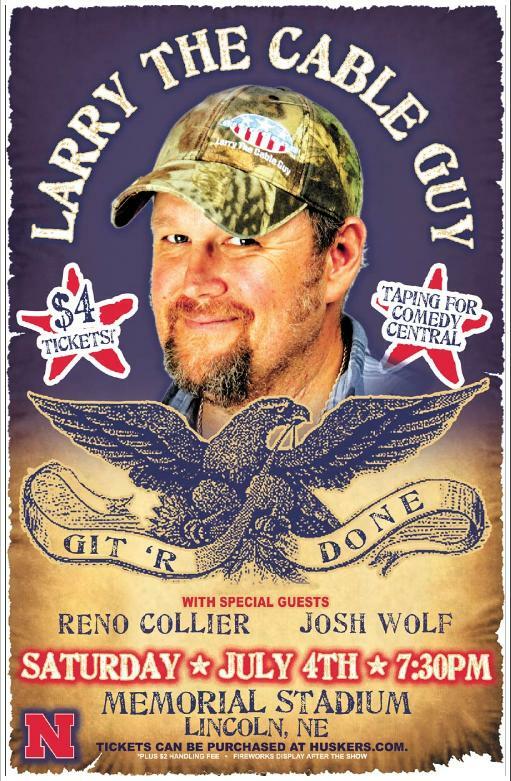 Although more of a David Cross fan myself, I'm extremely happy to have had many opportunites to work for Larry the Cable Guy and the rest of the Blue Collar Comedy guys over the years (samples of which can be found throughout this site). I've mostly designed newspaper ads and posters, but also laminates, backstage passes, and even a bus logo. This one above is my favorite - a street poster for a Comedy Central taping in Lincoln, NE.